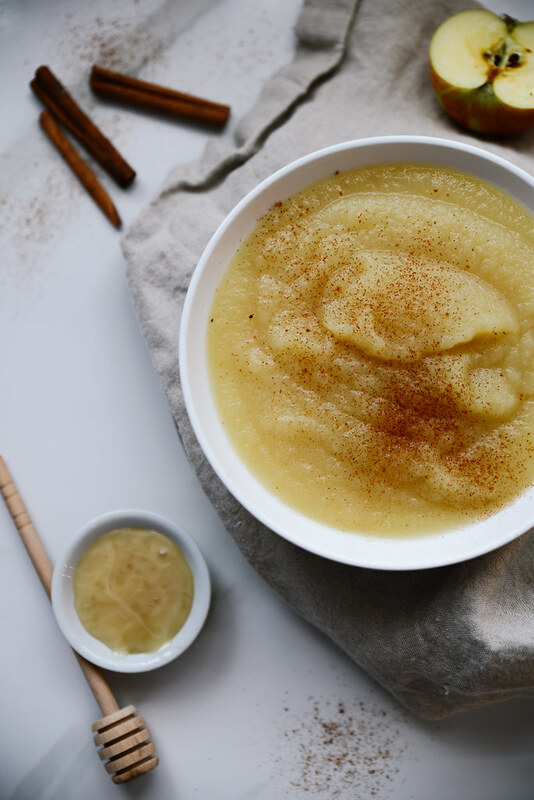 In addition to the homemade yogurt and bone broth, I would say applesauce is another essential item for the SCD (Specific Carbohydrate Diet) diet. This is one of the first foods that we eased into after we completed the introduction phase. By peeling and cooking the apples they are easier to digest, which allows the intestinal lining of the gut to heal if inflammation is present. Plus, apples are extremely nutritious. They are rich in important antioxidants, flavanoids, and dietary fiber. The phytonutrients and antioxidants in apples may even help reduce the risk of cancer, hypertension, diabetes, and heart disease. Apples are also a good source of immune-boosting vitamin C, which is essential when you have an autoimmune disease and take an immunosuppressive medicine. If you have just finished the intro diet, skip the spices and only use apples and water. Just like introducing new foods, you'll want to gradually introduce spices. As you introduce a new spice, you'll want to wait 3-5 days before introducing another one. 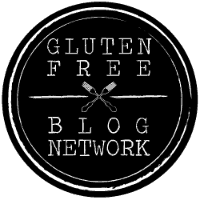 Take notes in your food journal and document any reactions. Don't forget, it's important to read labels! Unfortunately, many spices contain additives and anti-caking agents which are not disclosed on the label. Stick with a reputable brand, I've had great luck with Frontier and Simply Organic. 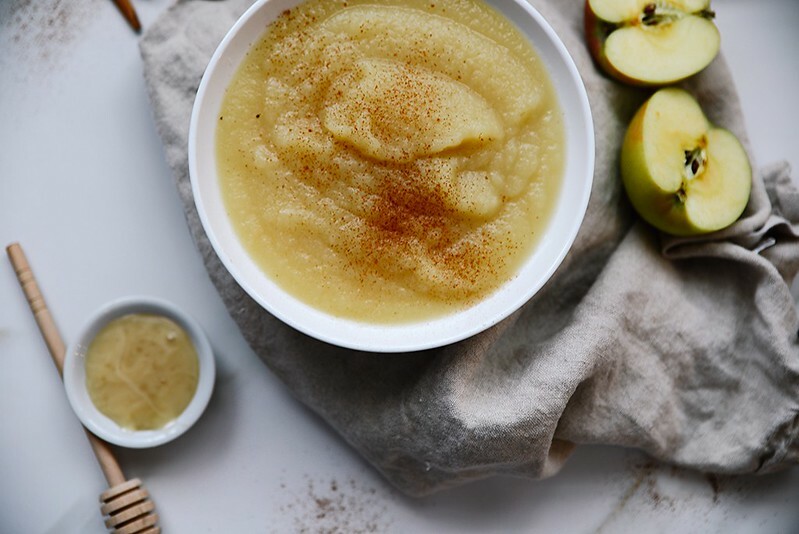 For those of you who have kids that take medication ands supplements, applesauce is a great way to to help swallow those pesky pills, especially the large ones! 1. Place all the ingredients for the applesauce into a large pot on the stove. Cook over medium heat for 20-25 minutes until apples are soft. Add spices. 2. Using an immersion blender, mix together the applesauce mixture until smooth. *If you are coming off the INTRO DIET of SCD omit the spices and only use water and apples.